The Center for the Humanities is committed to promoting and celebrating scholarly pursuits in the humanities and in interdisciplianary fields. In an effort to feature the stellar work of faculty and students pursuing various topics in the humanities, the Center is proud to present Inquiring Minds: Undergraduate Opportunities in Humanities Research. Inquiring Minds is designed to showcase humanities research and assist the community in understanding what research in the humanities entails. From art, philosophy, and history, to fostering social change through technology, Inquiring Minds offers an opportunity for exploratory students to conceptualize opportunities in humanities research. The event is characterized by a series of 15-minute presentations from faculty, a panel of student researchers, presentations by campus resources, and a reception where students can meet faculty and student researchers, and learn how to make their research interests a reality. "Creating Art for Social Change"
"There are Black People in the Future"
Join us on Thursday, April 11th for this exciting event. All are welcome, including prospective UM students. Attendees will be entered to win apple products and other prizes. Increase your chances of winning by attending multiple sessions thoughout the day! View the complete schedule and register by April 5th here. Please contact Dr. Meg Homer with any questions. This event is made possible by the Office of Undergraduate Admission, the Program in American Studies, Phi Alpha Theta, Sigma Tau Delta, the Debate Team, Eta Sigma Phi, and the Anthropology Club. 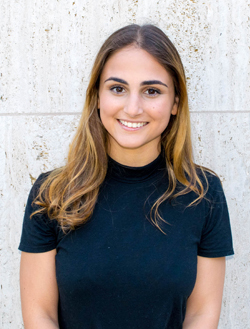 Daniela Baboun is a junior majoring in Biology, Classics, and English at the University of Miami. A Miami Native, Daniela describes her research journey as having begun in the summer before her sophomore year when she worked in a marine biology lab. The purpose of the study was to determine how different types of symbiodinium affect corals' physiology and immunology. In order to fulfill this purpose, Daniela had to spend many hours in a lab alone. As a very social person and someone who enjoys interacting with others, Daniela often found herself reduced to tears, dreading the prospect of working for 6-8 hours without being around others. She found herself completing tedious tasks that she couldn’t wait to check off of her to-do list, and she did not feel fulfilled. Despite the fact that she considers herself insatiably curious, she simply was not motivated to learn in this environment. Although Daniela knew that not all lab work required such isolation, she felt compelled to resign from the lab at the end of the summer, convinced that research wasn’t for her. But the next year, everything would change. During her second semester as a sophomore, Daniela enrolled in a “Greek and Roman Mythology” course with Dr. Tran. She became fascinated by Greek mythology and wanted to pursue more in-depth study. Seeking a different way to get involved in research, Daniela began by inquiring if a TA position would be possible. As an alternative, Dr. Tran suggested Daniela assist her with her own research, since this would give her better insight into scholarly work in the field, which Daniela accepted gratefully. Daniela describes the decision to assist Dr. Tran as a turning point for her and remarks that “research in the humanities has helped me develop critical thinking skills, understand the viewpoints of others, and cultivate empathy.” As an aspiring physician, Daniela values this research experience tremendously and believes that by expanding her horizons, she has gained greater cultural competence, a critical component for the development of a good physician. She enthusiastically encourages other students to consider expanding their own horizons. 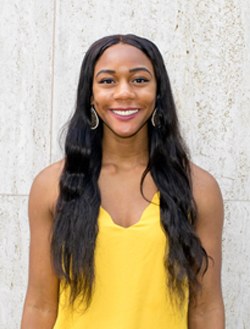 Ashley Brooks is a self-proclaimed Washingtonian, though she has lived all over the world including Nigeria, Morocco, Jordan, Honduras, and Peru. Ashley is currently in her senior year at the University of Miami where she majors in Political Science and Spanish, and minors in Arabic and Portuguese. Over the course of her undergraduate career, she has interned in the House of Representatives, and been awarded a Critical Language Scholarship and David L. Boren Scholarship to study Arabic. She speaks four different languages (Arabic, Portuguese, Spanish and English) and hopes to learn at least two more in her lifetime. She presently works as an undergraduate researcher in the UMiami Department of Political Science and serves as a TA for a comparative politics course. Her research interests include migrant studies, race, and gender. She has traveled to the Dominican Republic to conduct research on afrocentricity and racism in Latin America. Of particular importance to Ashley is the investigation of racism outside of North America and Europe. She believes field research is invaluable across all disciplines, especially the humanities. She hopes to continue her research on this topic in graduate school. Ezra Remer is a third-year honors student majoring in Communications (with a focus in documentary production) and minoring in Urban Studies. A native of New Orleans, Louisiana, Remer has a passion for coffee, managing an on-campus coffee shop: The Billy Goat Coffee Kiosk. 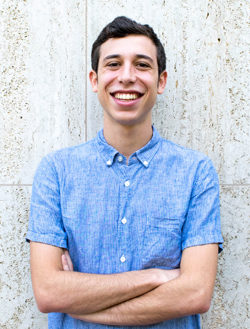 Ezra serves as News Director at the student-run radio station, WVUM 90.5FM, in addition to hosting a political debate show as well as a New Orleans music themed specialty music show on the radio. In the past year, he served as the founding editor of WVUM’s first published ‘Zine, Mamey. During his freshman year, Remer assisted in the production of the award-winning documentary “Gladesmen: The Last of the Sawgrass Cowboys” alongside Pulitzer journalist David Abel. 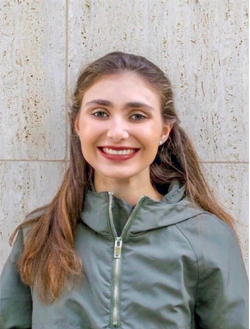 Sarah Ortiz-Monasterio is a senior at the University of Miami, pursuing a double major in English Literature and Art History and a minor in Classics. Originally from Mexico, she has lived in Weston, Florida for the majority of her life. Sarah serves as the President of the University of Miami’s Sigma Tau Delta International English Honor Society, Phi Mu Chapter, an organization committed to fostering interest in English Language and Literature. During the Summer of 2018, she completed an internship at the Philadelphia Museum of Art, where she worked in the Development Department. Sarah’s current principal research interest is the study of Gustav Klimt’s Secessionist artwork, specifically his 1898 Pallas Athene and 1899 Nuda Veritas. Her work on this subject matter began in Dr. Nathan Timpano’s Spring 2017 Modern Art Seminar, which focused on German and Austrian Expressionism. Her completed research paper for the course, which examined Pallas Athene, and her continued interest in Fin de Siècle Vienna has led Sarah to further develop her research paper on Pallas Athene into an Art History Honors Senior Thesis. Sarah maintains that the value of research experience is derived from the analysis and synthesis of information gained through conducting research, and the process of strategically articulating one’s argument. As a prospective graduate student who aspires to pursue a career in museum administration, Sarah believes that the ability to effectively conduct research is an integral skillset required to become a successful professional. Alyssa Samberg is a junior at the University of Miami, majoring in English, History, and Political Science. 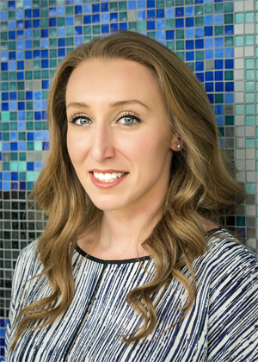 Originally from Delray Beach, Florida, Ashley attended American Heritage High School before matriculating to UM, where she has become actively involved on campus. 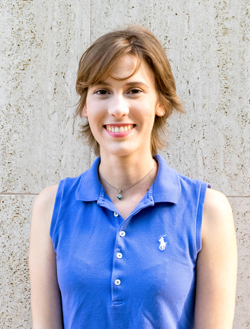 Ashley currently works in the residence hall’s computer labs, serves as a member of the scuba club, and is part of the Honors Accelerated Law Program at the University of Miami. Given her strengths in technology, Alyssa is working to make humanities research more accessible and applicable. She became especially interested in this project while studying abroad when she visited a museum and discover a digital chart that helped enhance her understanding of World War I poetry. After this experience, Alyssa decided to submit her resume to the Office of Undergraduate Research, which resulted in her being paired with Dr. Brenna Munro from the Department of English. Given their shared interests, the pair began research on publishing trends in LBGTQ Nigerian literature. Their goal was to make a digital map that could be used as a resource to future Nigerian writers on the publishing path that successful Nigerian writers had taken with regards to their publishing history (by a Western press, by a Nigerian press, online, etc.). After their first semester of work, Alyssa and Dr. Munro assembled a map of representative authors to begin analyzing publishing trends and they are continuing their work. 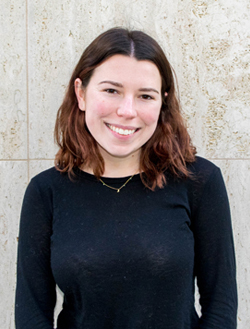 When asked about her experience with research in the humanities, Alyssa said, “I have learned to think creatively about how to solve abstract problems—such as determining how to represent online publications on a map in a meaningful way.” Alyssa hopes to continue doing hands-on research and writing as she pursues a degree in law. Jacqueline Way is a junior at the University of Miami, majoring in Economics and Political Science with a minor in History. Jacqueline is from Bloomfield Hills, Michigan, a suburb of Detroit. With a passion for politics, Jacqueline serves as the Vice President of the University of Miami College Democrats club and previously served as the Director of Political Affairs for the organization. In the summer of 2018, she interned in Washington D.C. with Senator Debbie Stabenow of Michigan. An actively involved student, Jacqueline also participated in the I.M.P.A.C.T. leadership retreat during her freshman year.